CITY of Perth Council voted last night to keep the City’s ban on councillors speaking to the media. The policy allows only the chief executive , Lord Mayor or, in their stead, the Deputy Lord Mayor, to speak on behalf of the City but also prevents councillors from speaking to the media even if they make clear they are not representing the view of the City. Councillor Jemma Green’s proposed a change was to allow councillors to “make their own personal position known about any matter, which is pertinent to the business of the City, including Council decisions provided that it cannot be construed to be a statement on behalf of the Council”, which is the norm in the majority of local governments. Cr Janet Davidson moved Cr Green’s motion, which prevented Cr Green from making the closing remarks of the debate. Cr Green told the Council that Cr Lily Chen had believed the current policy did not prevent councillors from speaking to the media. She asked chief executive Martin Mileham six times to clarify whether the policy did ban councillors from speaking and on each occasion he did not directly answer the question. The current policy states: “The Lord Mayor, or in his/her absence the Deputy Lord Mayor or the Chief Executive Officer, are the only persons authorised to provide comment to members of the media on Council decisions and activities”. Manager of governance Mark Ridgwell seemed supportive of Cr Green’s motion and said it “clarifies the existing policy”. 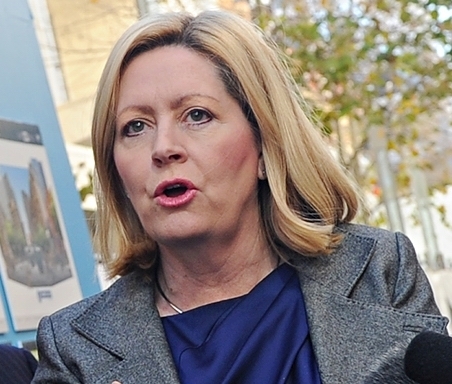 However, Lord Mayor Lisa Scaffidi said once a decision had been made by Council, the policy prohibited councillors from speaking to the media “because a decision has been made”. Cr Green expressed disappointment at being prevented from making a closing comment before arguing that if the City of Perth wanted to “continue the journey towards being the local government gold standard in transparency” it should be prepared to face “scrutiny and debate”. Cr Reece Harley noted former Local Government Minister Tony Simpson, Opposition spokesman David Templeman and WA Local Government Association (WALGA) president Lynn Craigie had “all stated publicly that (the media policy) must change”. Deputy Lord Mayor James Limnios backed the change, and said the City was “trying to restrict freedom of speech”. “Even having Cr Green’s motion not moved as her own is a mechanism to be able to close debate,” he said. Cr Jim Adamos spoke against the motion, likening the City of Perth to a corporation that must present a united front, a comparison that left Cr Harley shaking his head. Cr Chen said she had spoken to the media but “not in her capacity as an elected member” and she did not felt restricted. The Lord Mayor expressed the view councillors should not speak to the media about an issue on which the council was about to vote, then continued to say councillors should not speak to the media after the vote either. Ms Scaffidi said Stirling Mayor Giovanni Italiano had telephoned her to encourage Perth to retain its media ban in order to avoid confusion in a “very busy media space”. WALGA president Lynn Craigie told Guardian Express the only restriction on speech in the Local Government Act prevented an elected member from “casting an adverse reflection on the Council and its employees”. Crs Adamos, Davidson, Chen, and Keith Yong were joined by the Lord Mayor in voting to keep elected members gagged, with crs Green, Harley and Limnios voted for the reform.